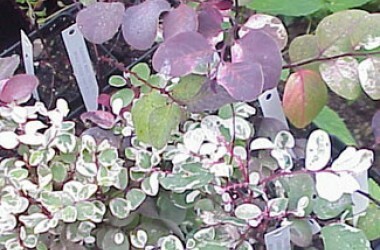 This does not get ordered as often as the above dwarf form, so it is propagated to order only. 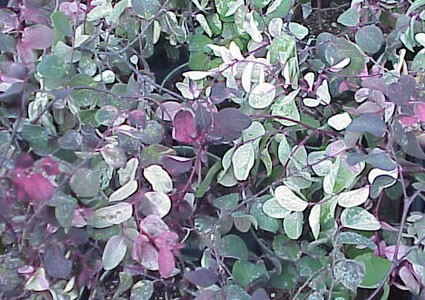 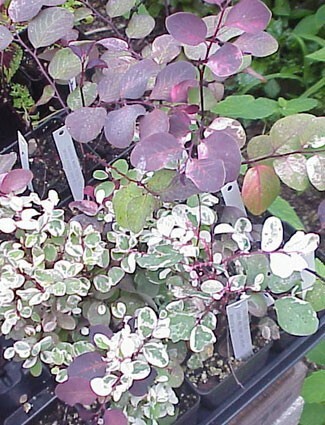 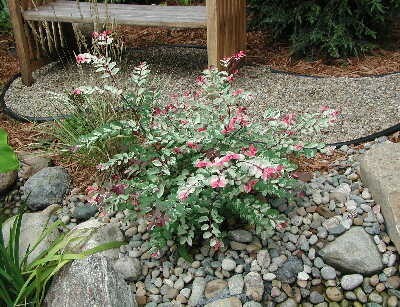 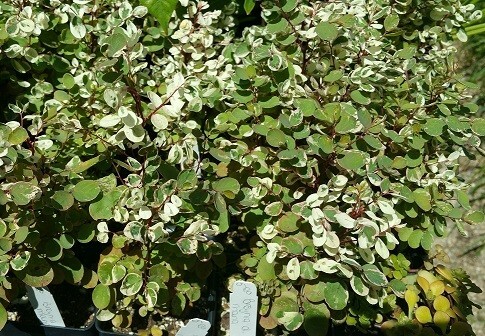 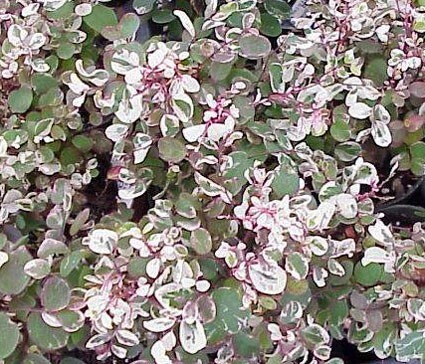 Called the "Foliage Flower Shrub" because of the white, pink emerald & purple oval leaves. 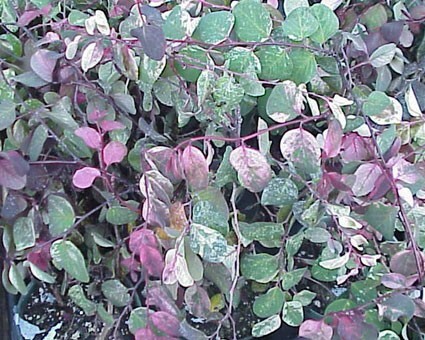 True flowers are tiny green suction cup-shaped strands hidden beneath. 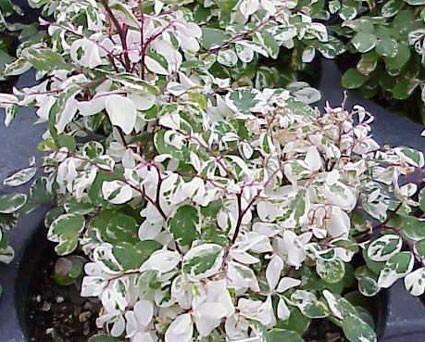 This clone holds foliage if kept warm, not deciduous like Florida hedge types. 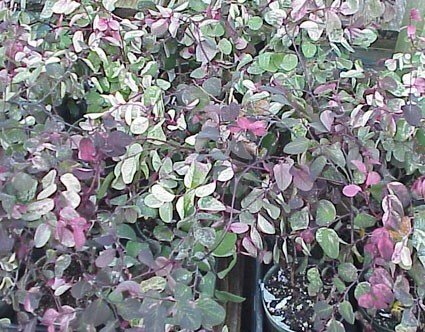 This would make a great window plant in the home!